The PAD-L Series is a high performance, high reliability variable DC regulated power supply series, suited to many applications, such as research and development, and quality control for manufacturing plants. 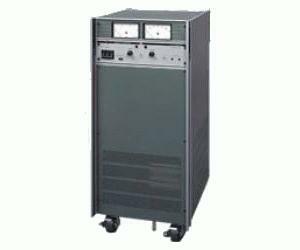 Each power supply is built with a thyristor preregulator and a power transistor series regulator. This results in a combination of high performance and low harmonic distortion. The LP Series is also available - offering high speed OVP functionality and various status signals suitable for system use.